Egypt Travel Tips: 15 Things You Need to Know Before You Go! 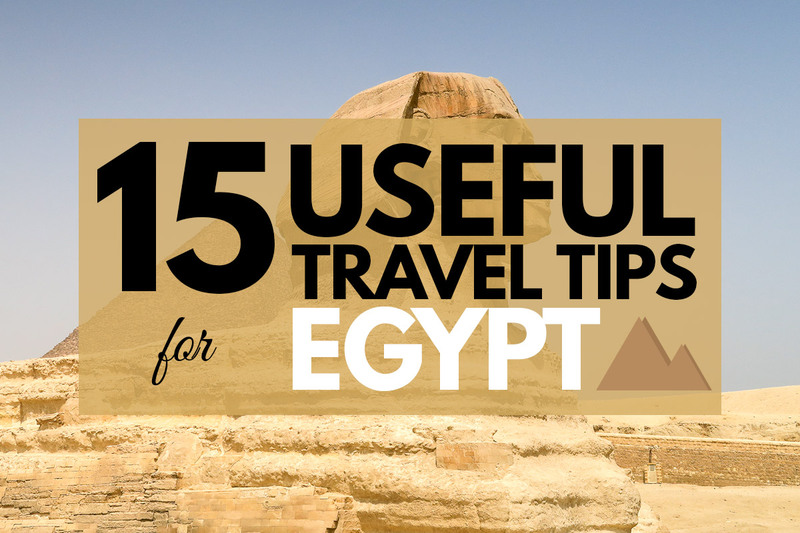 15 Incredibly Useful Travel Tips for Egypt! Below you’ll find my top travel tips for Egypt along with a little personal advice sprinkled on top. I hope you find these Egypt travel tips helpful. If you find these tips to be helpful or you have some tips of your own, please be sure to leave a comment at the end of this article. Egypt is one of my favorite countries in the world for a variety of reasons. I’ve visited the country on four different occasions over the course of the last few years and three of those visits were 3 weeks or longer. While I love this country to pieces, it also should be known that it’s one of the more difficult countries I’ve ever traveled to. 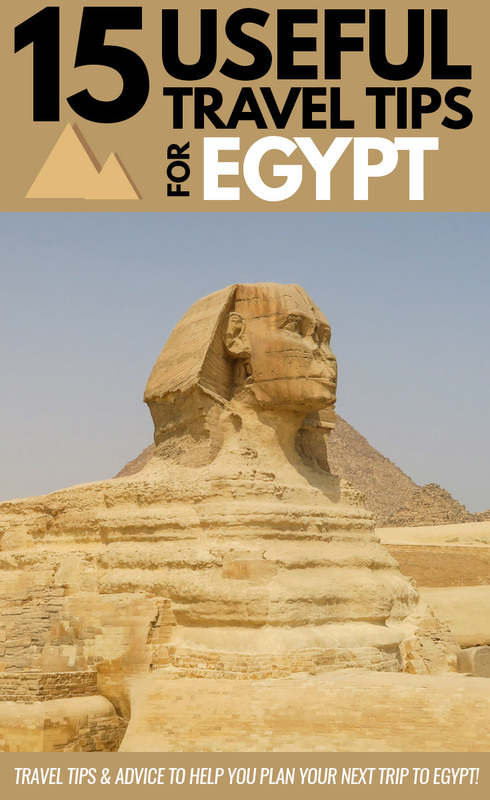 Ready to learn more about my top 15 travel tips for Egypt? Let’s get started. When preparing for a trip to Egypt your first priority should be to make sure you make the small investment towards your health and well being by purchasing a flexible, reputable and affordable travel insurance policy for your trip. Not only will this travel insurance policy cover you if your bags are lost/stolen and if your flight is delayed/cancelled, but you’ll also be covered for all medical and injury related issues as well. Let’s face it. No parents, family or friends want to have to cover the cost of you getting MedEvaced home from the middle of the Egypt. As you know, in life, things happen. Do yourself a favor and get your coverage now so you can rest assured that you’ll be taken care of in the event of a serious emergency in Egypt. Planning a trip to Egypt isn’t as easy as you’d think. From accommodations to transportation and planning all the smaller logistics, there always seems to be a major disconnect somewhere along the way. As you know, I’m more of an independent traveler than anything else and I rarely recommend hiring a tour guide. If there’s one place in the world that I would recommend hiring a guide, it’s in Egypt. Why? Because Egypt is a very unique and difficult country to travel to if you don’t have any prior experience. One of the most important skills you need in order to have a positive experience in Egypt is the skill of haggling and negotiating. Everything is negotiable in Egypt and it’s expected so don’t worry about offending anyone with your offers. From buying a water at the corner store to shopping for souvenirs at the market to non-metered taxis, haggling is absolutely necessary. Bring your own toilet paper. Trust me on this one. You’ll be hard pressed to find toilet paper in most restrooms in Egypt. The toilets have a built-in bidet spray nozzle for those who forget to bring toilet paper along but who the heck wants to walk out of the bathroom with a wet behind? Not me. That’s for sure. I think it’s safe to assume you wouldn’t either. To avoid this sticky situation simply stop into a local shop and pick up a roll of TP and take enough to last you the day when you’re heading out to explore. Did you know Uber operates in the city of Cairo? If not, well now you know. What’s even better is that you can get your first ride free (up to 70 EGP or approximately $8 USD) when signing up for a new Uber account. While taxis are generally safe and easy to use, Uber is definitely your best bet if you’re looking to move around the city without worries. Already have the Uber app? CLICK HERE and follow the simple step-by-step instructions to receive your 70 EGP credit towards your first ride. If you’d prefer to sign up for a new Uber account using the web based version then go ahead and CLICK HERE. Be careful who you trust in Egypt. Many people are out for your money. That being said, you should be able to figure out who is genuine and whose not after the first few minutes of conversation. If a person mentions a single thing about money, simply move along. Personally, I’ve met some of the most genuine people in the world during my travels to Egypt, so I highly recommend that you attempt to initiate conversation with the locals. Note: If someone approaches you and starts to tell you that he owns a perfume shop, or mentions the Arabic word “baksheesh” which means “tip” in English, tell them “La, Shukran” which means “No, thank you.” in English and simply walk the other way. Ask the price before buying water, soda, candy, and anything else that you can imagine buying at a convenience store. If you’re used to paying a lower price in other shops for your item, haggle with the shop owner a bit to get a little closer to the local rate. The Cairo Metro system is surprisingly one of the more efficient metro systems that I’ve encountered on my travels. Be aware that it’s rare that you’ll run into other foreigners on the metro. I’ve taken the metro countless times and never once saw another tourist or foreigner. Considering you’ll be a minority, expect the train to go silent at times and when you look up, the entire car will be looking at you out of curiosity. Did you know that the Cairo Metro system is the first of two built and completed metro systems in the entire continent of Africa? Walking shoes or comfortable sneakers are best when planning a trip to Egypt. Sure, you can wear flip flops or sandals from time to time but please realize that the streets of Cairo and the majority of Egypt are dirty therefore you’ll be sure to return to your hotel with a pair of dirty feet. Carry hand sanitizer with you when you travel to Egypt! You’ll constantly be touching doors, hand rails and currency while you’re in the city and you won’t be the only one touching these things. Remember, there’s an estimated 20-25 million people in Cairo. Be sure to wash your hands often and use hand sanitizer whenever you don’t have the opportunity to make a bathroom stop. Watch where you’re walking while exploring the city. The streets of Cairo are not maintained well. One time I got really lucky and avoided breaking an ankle or worse after my foot and half of my leg fell into a hole in the sidewalk while walking through the city. This was not your typical pot hole, this was a hole that engulfed half of my leg to above my knee. Dangerous isn’t even the word for the streets and sidewalks in Cairo. Beware. No worries about drinking tap water because nobody drinks it (including the locals). During your trip, you’ll be buying lots of bottled water. You’ll need it to brush your teeth, to drink during the day and maybe even some to pour over your head after being in the extreme heat all day. Note: As a foreigner you’ll be charged anywhere from 4 to 10 EGP for a “big bottle” (1.5, 2 liter) of water depending on where you purchase it. Trust me, you can get these bottles for 2, 2.5 EGP. Just haggle with the shop owner and you’ll get it for 2 EGP. If they say that it’s 4, or 5 EGP just tell them that you buy water down the street all the time for 2EGP and they’ll usually have no problem selling it to you. Just be aware of what the real “Egyptian” prices are for certain items and you’ll be fine. There is a universal rule for consuming food in foreign countries. The rule is to only eat at street stalls and restaurants that are occupied by locals. If there’s nobody in the restaurant during what should be a busy time of day, avoid it. If there’s a line of locals standing in front of a street stall, get in line because you know that it’s not only great food but it’s also very affordable. The driving and traffic in Cairo will be shocking to you when you first arrive. Crossing the streets is quite intimidating at first but after you get used to it, you’ll be crossing the streets without issue. Trust me, there’s a science to it! Don’t bother getting assistance from the “Tourist Police” when crossing the roads as it’s not necessary. Note: If you’re wondering why a police officer is asking you for baksheesh (tip) it’s because they probably just did something for you that you thought was a kind gesture (like escorting you across the road). This happens often so be prepared. If you’re planning on traveling to Egypt please do your research before you leave. Many foreigners arrive in Egypt and dress like they’re still in their home country. This type of behavior can and will attract more unwanted attention, stares, and even perhaps physical advances by Egyptian men. In order to blend in a little more and avoid disrespecting the culture my best advice is to choose your clothing carefully. Be sure to keep your knees and shoulders covered at all times. Bring a scarf to cover your hair when visiting mosques and other religious sights. Always remove shoes before entering a mosque. If you’re visiting a mosque and do not have something to cover your shoulders, legs (from the knee down), and hair the staff will likely provide you with an oversized robe. Bikinis and other swimwear are totally acceptable to wear while at the resorts on the Red Sea. Wearing shorts when exploring the city isn’t a problem but you’ll need a pair of longer pants or jeans for the evenings as well as when you visit someones home or get invited to an event. Sleeveless shirts, tank tops and gym attire is not acceptable. Don’t be that guy. Think light, comfy and layers for the chilly nights. Swimming trunks and other swimwear would be acceptable to wear at the resorts or wandering around town in the destinations on the Red Sea. Do you have any Egypt travel tips to share? If so, feel free to leave a comment below! Love these tips! Having literally only left Egypt three days ago, I still find myself doing some of these things…including haggling slightly too low and causing some severe offense to a poor souvenir seller in Jordan! Oops! Haggling definitely got much easier after a couple of days – though the least I ever paid for a large water was 3 pounds. Thanks Megan! Hope you're enjoying yourself there. Great tips! Thanks a bunch for contributing. Why thanks Andi! Glad you enjoyed them. I have never been to Egypt and I would like to go there some day. These are great tips. Especially the water for 2EGP and the bring your own toilet paper one. You go to do what you to do right? : ) Great post! We LOVED Egypt! You should definitely go out of you way to visit there sometime. Yep, you do what you gotta do! Hi everyone I’m planning on going to egypt this year I’m a single mother my son is 3 I heard that is dangerous for a single mother to go is it true? ? Hi Manuela. Single women in general have a tough time traveling in Egypt. It’s likely that you’ll be faced with a lot of harassment whether it’s to buy things or sexual harassment as it’s extremely common here. I wouldn’t say it’s dangerous but I will say that it will be very annoying. I don’t think you’ll be in danger as in getting hurt or injured during your trip. You would really be better of traveling with someone who is a male or traveling Egypt via a tour. Best of luck and safe travels! No that is not true! I am Egyptian and there is nothing wrong with you going there without a husband. No one will check whether you are married or not. Thank for the tip,,am planing to go in Egypt in mid October for 2 wk.am single from Vancouver Canada.the travel agency they not cheap.if I pay for the flight ,what tip you will advise me when I get to the airport.thank..
Two weeks is a good amount of time to spend in Egypt. When you arrive to the airport just make sure you have enough money (in your own currency) to cover the Visa on Arrival fee. I imagine your travel agency has set you up with airport transportation, no? If not, you can either take a taxi or an Uber. Great tips. Right now in Athens. Boarding flight to Cairo later in the day. Perfect article to prepare us for our Egyptian adventure. Thx. Great tips for not only Egypt, but any place your going to travel to! Crossing the streets will be the biggest adventure in each country you visit! Thanks guys! You're absolutely right, most of these tips can be used in many countries not just Egypt. I used the regular sink water for brushing my teeth and never had any issues. From what I was told, that was no problem since you don't swallow. I don't think women necessarily need to cover up in Egypt unless in a mosque or sacred site. No one in my group had any accosting for being uncovered. Now, they were oggled quite a bit, which covering up also helps protect, but they weren't yelled at . I think people in Egypt (and Jordan too for the most part) are pretty tolerant of Western clothing considering 1) its hot and 2) we're tourists and not used to the heat. I still have fond experiences of my falafel and moussaka pita wrap for less than $1.75 for four massive ones infront of Luxor Temple. Then getting a drink at the McDonalds next door for $1.80. Raaaa. 16. Pack your sense of humour. Egypt can be a stressful place to visit but I've never laughed so much in my life. I would disagree with trying to "Get away" with dressing in a way that is not acceptable in Egypt. Even if nobody says anything, you will still be offending people as a woman not dressing modestly. You need to remember when you are in a predominantly Muslim country what the expectations are in terms of a woman's place in society, and certainly I would NOT suggest wearing capris if you are a woman alone or a group of women, as laws regarding sexual assault are very different there, as are attitudes. I understand that it is hot, but if millions of women can handle it while covering their legs, then you can too. If you cannot respectfully follow the traditions of a country while in public there, then perhaps you should not be visiting. And of course, if you intend to visit any cities that are smaller, less touristy, more religious, then you should bring a hijab (and learn how to put it on well enough to cover yourself) and ask a woman there if you are unsure as to whether or not you need to be wearing it. I don't understand why everybody gets so hung up on having to carry TP. Water actually cleans you better, you just have to get used to it. And besides, their plumbing systems & sewers are not designed to handle paper. Hi Sandy, thanks for the comment! I understand your point but I'm curious to find out how you dry yourself afterwards? In Indonesia, they usually have a little bucket of water and a scoop and you're supposed to use your left hand to clean afterward (and thus using your left hand to pass an item, or to point is considered impolite). Yes, the bathroom traditions vary greatly all over the world. I am so much more appreciative of toilet paper these days! Great tips :))) Speaking of sense of humor – what about the weird sound they make when a woman passes by? It took me ages to understand what was going on…I travel a lot from England to Egypt and since I often end up with a last minute booking I call to confirm my reservation beforehand after having to search for a place in the middle of the night once. It might be pricey to make international calls therefore I use a call service which provides cheap calls to Egypt . Its fast, easy to use and cheap but the most important part is that you won't have any accommodation problems. Thanks for the cheap calling tips! Great, thorough post! I agree 100% about women needing to cover up. I did and encountered no issues at all while I was there. On the other hand, almost every time I hear a story from someone that they had a bad experience or were harassed, it turns out they were not dressed appropriately. I really feel it’s just a matter of showing respect for their culture. I would just add – keep an open mind! If Egypt is the first non-Western country you visit, you may see a lot of things you’re not used to. It’s important to remember it’s not bad or weird, it’s just different. Thanks Katie. Glad to hear you had no troubling encounters as well. You’re so right about the people who have been harassed. For the most part that is the main reason they were harassed in the first place. Keep an open mind is an excellent tip! If there’s anything you need to have in a foreign country (especially Egypt) it’s an OPEN MIND! Thanks so much for your contributions. Keep in touch! I would love to go to Egypt at some point so I will remember these tips if I do. I think what worries me the most is getting ripped off but it sounds like if you just haggle, that won’t happen. Suzy, if you ever have any questions regarding travel to Egypt, please don’t hesitate to contact me. I have so many great friends there that will take care of you every step of the way. Keep me posted. Hi MD. Sure thing. I’ll shoot you an email now. Sorry. Just seeing this now. If you haven’t already left for your trip, please shoot me an email at your earliest convenience. I love Egypt as my 2nd home. I love the Egyptians, they are very friendly and treat me with respect. I do wear capris if I’m out with my husband in the summer. Other wise always am out in slacks or long skirts. My upper arms are always covered. I do not cover my head. I would have no problem doing so though if I were going to a place that required it. I have seen tourists in shorts etc at different places and I do see the many many stares from both Egyptian men and women. I also do see laughs at this kind of dress. I do drink bottled water at all times. I do use the water from fawcett though to brush my teeth. I don’t have any problems from that. I do watch what I eat and from where. I will have trouble once in while from food. But I also have problems with food from USA. My family here tease me and tell me I don’t have a Egyptian stomach. They are used to some things that I know I don’t dare touch. Come to Egypt and visit. It is remarkable. I love the old buildings and their artwork. There is so much to see. Ohhh I forgot, I do get looked at even by little kids but it is because I’m different and I realize that. I smile at them and 9 times out of 10 get nice smiles back in return. I wave at the little children and they love it. I have many children as neighbors and friends that will wave and speak to me every time they see me. Sorry this is so long. I could go on and on about living here. Hope you will come and enjoy it. Just be patient and alert as in any other country or town you go to. Monique, thank you so much for your comment. It’s great to hear tips from someone who has actually visited Egypt. It seems to me that you and Liz are on the same page when it comes to know what clothing is appropriate and what’s not when traveling in Egypt. That’s funny about the “Egyptian stomach”. I, too, only drink bottled water and I also brush my teeth with bottled water as well. I was only sick once during my time spent in Egypt and that was due to drinking home made lemon juice. Big mistake! Yes, you’re right most of the kids that stare are not staring for the wrong reasons. A smile goes a long way in Egypt, that’s for sure! Nice list! It’s always good to know how to behave and what to expect before traveling. But also remember Egypt is a pretty moderate country used to millions of tourists every year, so you don’t need to wear an higab for example, unless you are entering a mosque! Congrats! Hope you enjoy your trip and hope the protests settle eventually. As for haggling, it’s a way of life there. You are expected to haggle. Ask a local how much something should be, worst case ask different vendors for prices of the same item you are looking for and you will figure out a common average price. Good luck!!! Thank you all for your visits to my country Egypt and for your nice words about Egypt. What people are saying about us is true. We are friendly and helpful. So, i am ready to support any one visiting Egypt and giving my advice in that regard. Do not hesitate to contact me for that purpose. I am Omar. I’m Shaigan and visiting Egypt for first time. Being post graduate medical student I’m allowed for a week so basically I’ll be staying 5 days in Egypt. What are the things i must see in these 5 days only restricted to cairo and Luxor. After my diving trip back in 2008 and terrible experiences with rude and classless Egyptian men I’m so hesitating to visit this country again. Even though Cairo and Alessandria where always on my list. So sorry to hear this. Traveling in Egypt can be very frustrating. That being said, it’s a hell of a lot worse now than it was a few years back. Unfortunately, I don’t see things changing for a least another few years. I’m aware of that, I read on lost of blogs that things are even worser and it is becoming worse and worse. And as I travel as a solo woman and world is big I can choose some other destinations and hope that things will get better in Egypt. What is the thought/reaction on visible tattoos on men? I have never heard of anyone with tattoos having any trouble in Egypt. Really it’s a very good blog with valuable tips. Egypt is one of the best place to visit on entire planet. one must follow these tips to make the Egypt travel successful. One important thing is to take a travel guide there. So you can enjoy a lot with that. Keep blogging like this. thank you. Going to Egypt in December hope these tips help make my adventure remarkable! Excellent. Glad to hear it, Shawn. Follow my advice and you’ll be sure to have a great trip. Best of luck! In September 2016 we are taking a trip to Egypt for 2 weeks. My wife and 1 year old daughter will be going as well. My wife was born and raised in Alexandria and almost all of her family are either there, or Cairo. With that being said her father has many things planned for us all over the country. Being with them, my kiddo and I should be absolutely fine as far as dealing with locals. Your tips however still seem vary useful to me. Especially on currancy issues. I didnt even think to do a currancy exchange before traveling. Thanks a lot for that one. When i come back ill let you know how the trip was? Have you gone back since you made this post? Thanks for the comment and the feedback. Sounds like you’re going to have a great time with your family. As for managing your currency, I would actually recommend you get it in Egypt. There’s no need to have Egyptian pounds prior to arriving because you can simply withdraw pounds at an ATM in the airport once you land. You do however want to be sure you have enough money in (USD) to cover the costs for your visas on arrival. Best of luck on your trip! Yes, I’ve been back several times. My last trip was in September 2015. The reason Ive been considering the currency transfer before traveling, is because of the steady downfall of the EGP. My mother in law warned that we should do it in the states. She said its almost impossible right now unless its through the black market, which is illegal and you get ripped off. I’m confused. It’s almost impossible to pull out EGP from an ATM machine in Egypt? If so, I find that hard to believe. In any case, if you feel more comfortable taking out EGP prior to your arrival, do so. Best of luck. I hear what your saying bud. I wasnt informed that you could do that prior to speaking with you. Thanks again for the tip. Everything I’ve mentioned came from my mother in law. Before I have currancy mailed to me I’ll ask her about that as well. Your info here has been priceless Ryan. Thank you again. Thank you for the tips. I am traveling to Egypt in a couple of weeks and meeting a small group of 12 there. I believe in respecting local culture and would never deem to run around in shorts, etc. Everything I’ve read where people have run into trouble, if a picture was posted, they were under dressed (arms exposed, legs, etc.) You no longer are required to cover your hair there. I am an older woman. I have learned the basics, like the money and the nice way to say no thank you. The best part of these kinds of trips is to relax, enjoy the culture and learn. You can really only do that if you try and fit in a bit and don’t stand out, especially as a woman in a muslim country. Although women are more free in other countries, acting that way wherever you go will cause you issues unfortunately and I’ve been all over the world. Fair enough? Hi Michelle. It’s always nice to hear from people who have either been to Egypt in the past or are heading there for the first time. I’m excited for you! Thanks for sharing your thoughts. You have some great points and I wish you the best of luck with your upcoming trip. Would you be kind enough to report back to us here on this post in a follow up comment? It would be great to hear your thoughts post-trip and let the readers know how it went. Maybe you can share some of your own tips from your adventure. Thanks again! For women, do not forget the tissue or tolet paper. They will charge you to use the bathroom with or without handng you tolet paper. Also, bring lots of single dollars, you will need them for tips. Everyone has their hand out for a tip. It is really hard to get the street vendors to leave you alone. Try going for a run in Luxor without getting 15-20 street vendors yelling out to you for a buggy ride, taxi, visit to their store, etc. It is actually overwhelming after a while. This is a very helpful post, thank you for all the info! I’m doing a week long trip to Egypt in July, travelling around Cairo, Aswan, Luxor and a River Nile cruise (I know its going to be super hot but a didn’t realise that when I booked hehe). As a solo female traveller I have chosen to use a tour company for a bit of comfort and safety. In your opinion will I be able to do this trip with a 4-wheel suitcase comfortably or is it a must to have a backpack? I have done all my travels so far with a suitcase, even south east Asia (2 weeks trips) but I’m not sure about the logistics when I comes to Egypt. Your advise will be much appreciated. Hi Zohera — Congrats on your upcoming trip to Egypt! Sounds like a great itinerary. Yes it will be blazing hot in July — Arrive prepared! I think you made a great choice to go with the tour considering you’re a solo female traveler. You’ll have a much better time this way. Trust me. The luggage really depends on your style of travel. If you’ve done backpacking trips in the past then I can’t see why you couldn’t do it again. The streets of Egypt aren’t really built for rolling cases but that being said you’re on a tour so it will likely be door to door service when moving from one hotel to another. My advice is to do whats comfortable for you. my only concern is about internet package for smart phone, it’s possible for me to get Tourist Sim Card with Data Plan for one week? if yes where i can get this? kindly advise. Obtaining SIM cards can be tricky in Egypt from my experience. I actually had my tour guide purchase a sim for me (in his name). I think your best bet would be to ask some of the kiosks in the airport. They usually have all the information you need. Hi, Ryan. And thanks for this useful article! I will be travelling to Egypt in less than a month and gonna be there for around 6 weeks as part of a volunteering programme. I’ve never been there before and I am so curious about it! Even though all my accommodation and food cost plus transport and some extra activities like snorkeling are covered, I’m not sure though what amount of money should I bring with me to buy souvenirs, water and some extra food. The only thing I am worried about is that I keep hearing people got sick from the food and because I don’t have “an Egyptian’s stomach” I will have to be very careful with everything I’m gonna buy. Hi Malina — Thanks for the comment and congrats on your upcoming trip. Honestly, I can’t tell you how much you should bring because everyone is different and everyone has different ideas of what’s cheap and what’s expensive so I don’t know you well enough to be able to say how much you’ll spend. I will say that the best way to get souvenirs at a fair price is to have a local or someone you know personally go in and haggle for you. I believe the rule is that first prices are usually up to 70% more than what you’ll walk out the door with the product for. Haggling is not permitted, it’s expected. Do not settle. Water is dirt cheap and food is cheap as well. My universal rule for food is to always eat where there are lines of locals. Why? Well, you can guarantee it’s not only cheap but it’s quality. This works everywhere around the world for me. Best of luck on your trip and be sure to reach out if you have any further questions. I will be visiting for my 4th time this Nov and my travel agency said i need to get my visa before traveling. The past times I just got the visa for 15 $ at the airport when I arrived. Do you know if it can still be purchased upon arrival or have rules changed? Hi Mary — Which country are you from? As far as I know you do not need a visa prior to arrival. Hi Ryan, I will be heading to Egypt for the first time with my husband in October…do you have any tour guide recommendations? Or best hotels in Cairo that you could suggest? Thanks for all the tips! On our last stopover now on way to Egypt.. going to be an experience alright! No problem. I’m headed there tomorrow morning. Have a great trip! Thanks so much you are very honest; esp streets not so well maintained we must always be alert. Wearing sandals not good coz streets are dirty makes our feet dirty and of course not to just trust anybody easily. With millions of people , hand sanitizer is a must. Touching doors, hand rails n currency. Next month with Gods grace 27 of us will be very lucky see your country. Best of luck and enjoy your trip! Hi! My sister and I will be in Cairo for a 10 hour layover on our way to Addis Ababa. Anything you would recommend for such a short visit? We’ll be there next Saturday. 10 hours in Cairo will give you the opportunity to visit the Pyramids and maybe a quick stop into the Egyptian Museum. Hi Leanne – Your upper arms/shoulders should be covered when entering mosques and other religious sites. Otherwise you will be fine. It’s absolutely safe to travel in Egypt right now. The only places I would say are off limits are the western deserts and northern Sinai. Enjoy your trip! Very important now and not mentioned: DO NOT BRING TRAMADOL (ULTRAM) UNDER ANY CIRCUMSTANCES IT IS ILLEGAL. You will end up in prison if you do. Their system is very hot on medication that you might want only for you own use. Be smart – check it out with the authoritiies BEFORE you travel. You have been warned!!! In jail, toilet paper will be kind of low on your list of priorities okay! I just read about this. Very unfortunate. Thanks for the tips, Bev. I am planning to travel to Egypt the last week of February and found your tips very interesting. 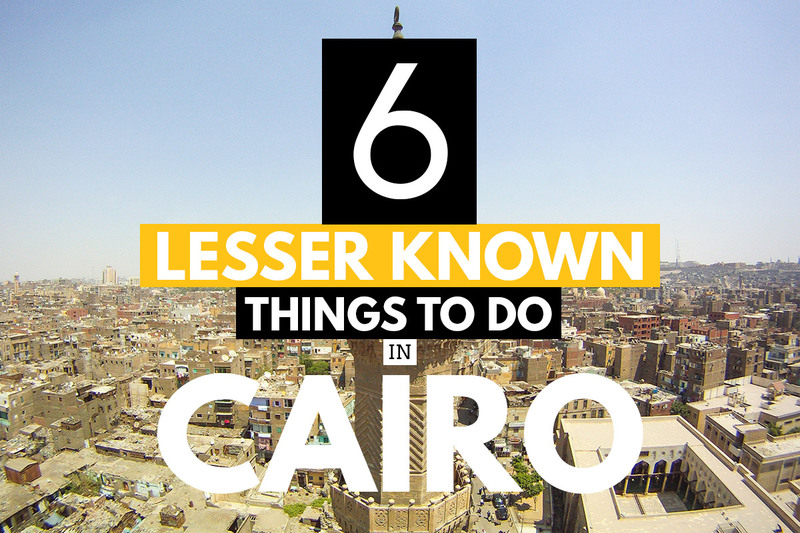 Do you have any preference over staying in Cairo over Giza? Also, we are vegetarians. Any tips on food accommodations? If you need any assistance with setting up tours, advice on places to visit, etc please reach out. I have a business partner on the ground in Cairo that can line everything up for you at the best prices. ;-) Just shoot me an email if you need anything. Glad you enjoyed your vacation. Excellent tips. I am the author of the book, “The Tomb Opens”. If anyone wants to know more details about the Egyptian culture before or after visiting Egypt, pick up a copy of this novel. You’ll be able to learn about egyptians’ emotional patterns, attitudes & behavioural cues. Egypt is a very rich culture. The typical Egyptian is by nature generally modest, friendly, helpful to the extent of giving you his own jacket if you are cold. Having said that, touting tourists is known to be a culture of its own amongst the simple mainly uneducated people who serve in this industry. Certainly egyptians have been through a lot that buried their genuinely beautiful nature to a great extent. Yet once you trigger that buried side in them, it will easily surface up. Thanks Amel. Appreciate the comment. GOING TO EGYPT IN A LESS THEN A MONTH. A LITTLE NERVOUS IS IT SAFE IN CAIRO AND LUXOR ALSO IS IT EASY TO FIND YOUR WAY AROUND THE AIRPORT? Don’t worry. You’ll have a great time as long as you plan your trip with the right people on the ground there. If you need assistance with planning, please reach out. Thank you so much for your tips! It helped us pack our bags for our early October trip from the US. I plan to get EGP here before going over. Is a baseball cap considered sufficient to “cover” a female head, or is the scarf better for the religious places we visit? I read 5-10 EGP is good for a tip. Is this accurate? What is tipping policies for restaurants, hotel service, etc.? Finally, do we need to bring our vaccination card with us to prove we’ve had them? what a great blog – my husband along with 4/5 male friends are traveling in a week – this helped a lot- He takes several vitamins every day – and carries them in small sandwich bags with him at all times ( not in the vita bottles _ Do you think that may be an issue? We were also told that American citizens need visa and can get it at the time of arrival at the airport. Hi Mojgan – I would recommend bringing the bottles along with you if possible just to avoid any issues. As for your visas, yes you can get them upon arrival. Just be sure to have $25 USD with you. Heading to Cairo next week! Thank you for the tips. While it’s so much fun to explore, it’s much more fun being prepared. Thanks for sharing these tips, so that we can have the best tour. Glad to read this post and really very useful it is. Once I had a visit to Darjeeling and I planned to have a glimpse of sunrise but I can’t be able to get up early so for me These Tips are very useful. Especially liked the souvenirs part, the Wear your normal clothes part and the one about being open minded and not judging other people. Already downloaded Google Translate and HERE Maps apps. Should be very useful for my next trip. Yes, very easy and it’s a short flight. If you need more information, please contact me via e-mail.